Instagram has added new filters to its photo-sharing social network for the first time since December 2012. According to the social network, a lot has happened in the last two years, including new photography trends and smartphone camera capabilities. Because of this, Instagram has added five new filters to its platform: Slumber, Crema, Ludwig, Aden and Perpetua. It is also important to note that in order to make it easier for users to choose between filters, Instagram updated how filters are displayed. 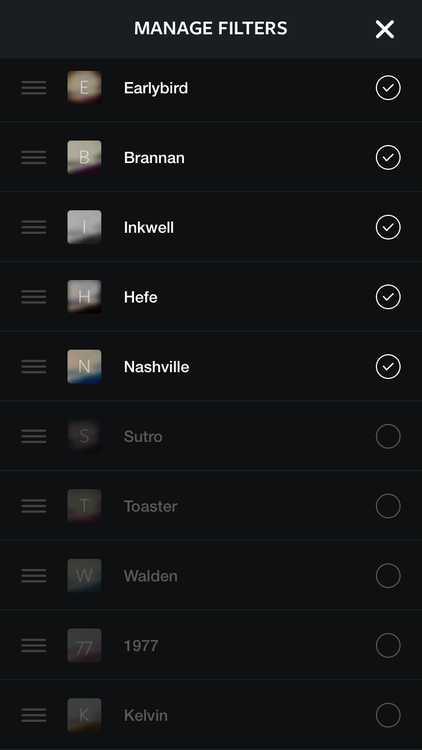 Now, when users go to apply a filter to their photo, each filter icon at the bottom displays a blurred preview of the photo with its effect applied. This, according to the social network, lets users see with just a glance how each photo will appear with each filter applied. Lastly, Instagram has added a new “Manage” button at the end of the filter tray. This button enables users to re-arrange the order of their filters and hide the ones they rarely use.